Self Cure Remedy details of Apply oatmeal for the care and relief of Acne, including effectiveness and popularity scores of the remedy. 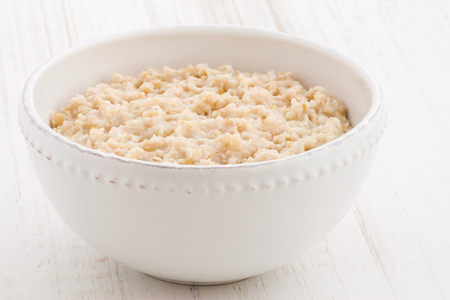 Oatmeal works well in soothing skin as well as relieving itchiness and rashes. Cook one cup of plain oatmeal and add one teaspoons of organic honey. Wait for it to cool down and then apply the paste to the skin. Leave it on for 30 minutes and then rinse with warm water and pat dry. The self cure remedy of Apply oatmeal for the care and relief of Acne has an effectiveness score of 3.2 and a popularity score of 117 on the self-cure system.